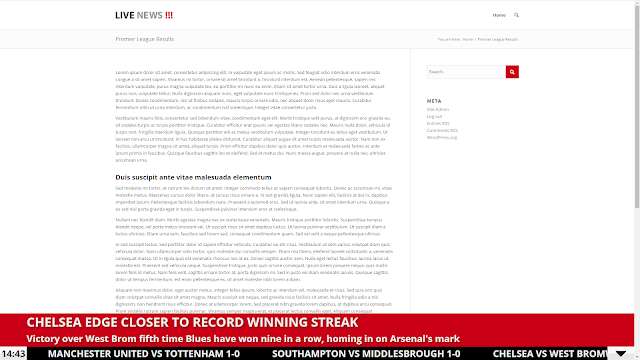 Download Live News - Real Time News Ticker: Live News is a WordPress plugin inspired from the news tickers used by broadcast television stations to communicate the latest news, financial news, weather warnings, election results, sport results etc. This plugin updates the news with jQuery and AJAX in real time and your users will be able to see your latest news without updating the page. This plugin comes with 56 customizable options per news ticker, 4 options per featured news, 9 options per sliding news and 3 general options. Use the news ticker with LTR languages or also with RTL languages like Arabic, Hebrew, Urdu, etc.